The members of Journey for Justice, are comprised of thousands of youth, parents, and other concerned citizens from communities of color across the United States. 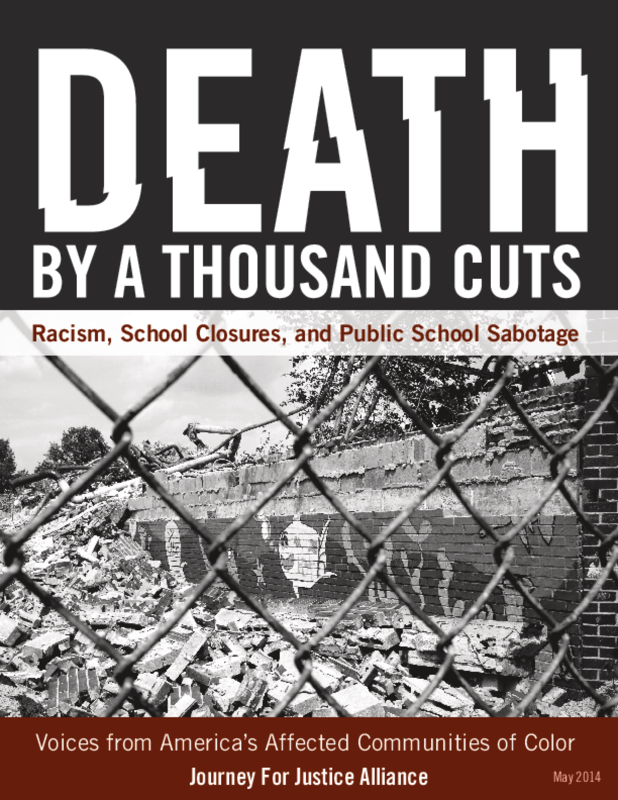 They wrote this report because they need the American people to know that the public education systems in our communities are dying. More accurately, they are being killed by an alliance of misguided, paternalistic "reformers," education profiteers, and those who seek to dismantle the institution of public education. Some are being killed quickly; others are still in the early stages. But it is, at this point, quite clear that there will soon be little to nothing left of our public school systems -- and many more like ours -- unless current trends are disrupted.